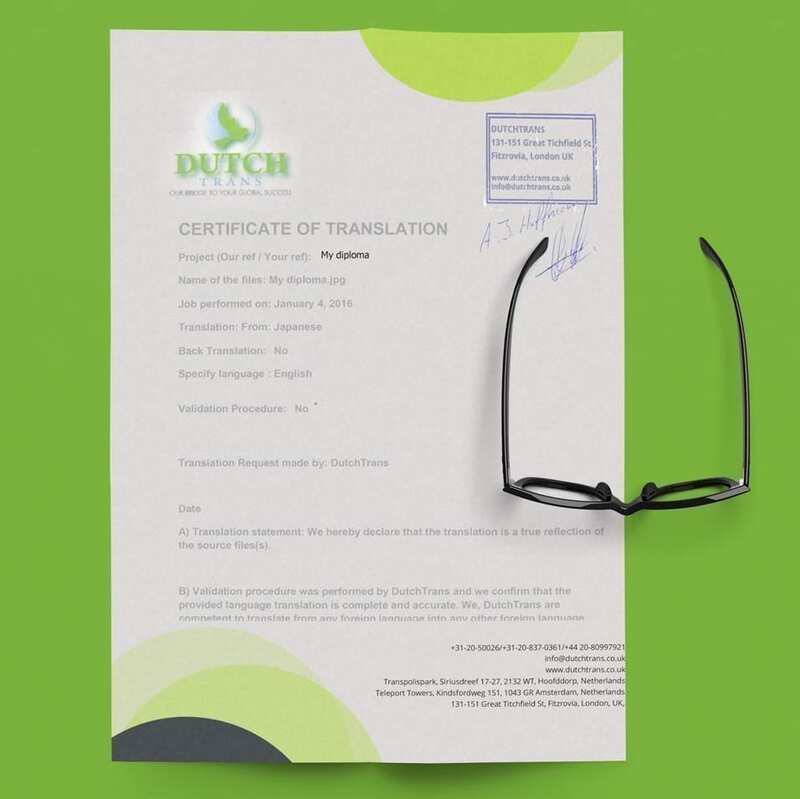 DutchTrans offers UK certified translation services for all kinds of documents. Your personal documents are important to you for your career, education or for immigration, and they hold equal significance for us too. That is why we make sure that you get accurate translations with stamped certification. This makes your translation, by all means authentic. If you are in London and need UK certified translation services come visit our office and you’ll have your documents translated and certified at the lowest price you can find in London. 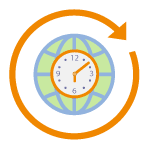 Even more, if you’re not in London and need translation, you can order online and have your translations sent to you by e-mail in 24 hours or less. We have our office established in the economic hub of the world, London. It is apart from the other two offices that are in Hoofddorp and Amsterdam. If you need translation services in London and want to pay a visit to our office for handing over the project in person, you can do so very easily. You will get answers to all your questions along with our free quote, and you can also witness our highly professional work environment and smooth flow of work. We would love to take you on board. You can also get in touch with us by giving us a call, send us an e-mail or use live-chat on our website for any kind of query or information. We give an instant response and appreciate your effort of reaching out to us. DutchTrans has a network of translators belonging to all languages of the world. We have over 3000 translators dealing with 80 primary languages as well as combinations and more obscure languages. We also cover different genres of translations apart from the aforementioned. 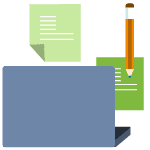 We have been trusted by thousands and thousands of clients for all manner of certified translation services UK due to the very fact of providing quality services, as well as an easy way to order online. You can visit our office if you would like to, but if you can’t, you can get a free quote and you can easily order online. We translate your documents in the shortest time possible, usually in 24 hours or less. We are available 24/7 and have the lowest rates you can find in the UK. You can ask for information, prices, availability of a certain translator or a quick quote, we will instantly respond to your queries. 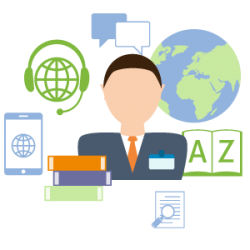 What is a UK certified translation? 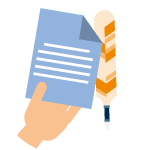 A UK certified translation is a translation done by a specialised translator along with a signed statement declaring that the translation was carried out by a specialist in complete accordance with the original document. This reduces any chances of dubiety on later stages for an individual and he doesn’t have to go back and forth for authenticating and proving his documents as accurate. 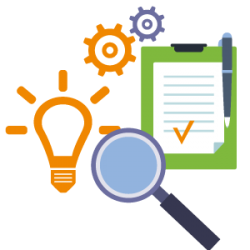 Also, certified translations are recognised globally as a set procedure determined by the specialists to assess and weigh the authenticity of the document and its translation. Can I see a sample of your certificate of accuracy? Yes, you sure can. Have a look at the image and click it to see a larger one. This is our certificate of accuracy, and it is done according to UK Immigration requirements. As you may know, one of the immigration office requirements is that your translation needs to look like the original. This means it should keep the same template, have all the logos, signatures and stamps while the text needs to be translated. That is exactly what we do, we translate all the text in the document then add the translation into the old template. What you get is a translation that looks like the original. 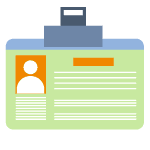 A second requirement of the immigration office is that the translation needs to be certified, which means that beside the translation, you should also have a certificate of accuracy, signed and stamped by the translation company. Again, our certification is done according to the requirements, and you can see a sample image on the left. The most important document in a person’s life is undeniably their birth certificate. It is required for each and every step in life, from academic life to professional life, and even for immigration and travel purposes. Keeping its due importance in mind, we provide birth certificate translation for it. It’s like an identity card of an individual, comprising of a person’s name, date of birth and place of birth and parent’s names. Hence even the slightest mistake can put a question mark on one’s identity. Therefore we take extreme care in translating your document along with certifying it for added authenticity. Seek our services for high quality birth certificate translations at the lowest rates. A marriage certificate is the next big thing in your documents file. It is what proves your marriage as a legal entity. We at DutchTrans are undertaking the translation of this important document, accompanied as well as by an attestation by our translator. 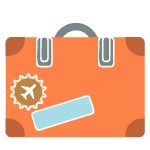 It is used for a number of reasons in routine life, some of them being immigration, changing the ones’ name or one of the spouse, and for tracing genealogical history. 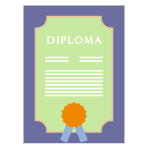 Whatever the legal requirement may be we make sure to give you a marriage certificate translation that won’t have any errors and for a guarantee, certification is also done at our end. Get in touch with our project managers now for the perfect marriage certificate translation. Divorce certificates ensure separation between the spouses and guarantees the legal ending of a marriage. 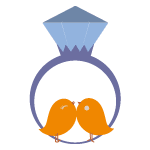 The divorce decree then acquires the status of official document which proves that you are no longer married and can be required in a number of official or legal stages, for instance in the case of a remarriage or immigration. 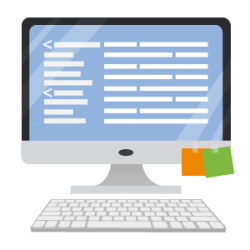 Now, coming to the fact that if your document is not in English, and you want it to be translated to English, then DutchTrans can help you translate the document to English or any other language of the world that you require. We know what to do and how to do it. You will get a UK certified translation for your divorce certificate in 24 hours. Applying for a foreign university or college calls for the previous academic record. But the language of educational documents varies from country to country. In the case of converting that country’s language to the foreign language requires a translator’s expertise. We provide exactly those services of translating from one language to another and for all kinds of academic documents from transcripts, diplomas, degrees, reports and professional certificates that are acceptable by any educational institute in the UK. Shifting from one country to another requires tough scrutiny, and calls for accurate documentation. One can’t really afford even the slightest mistake. Getting certified translation services UK, eliminate any chances of disparity. We provide translations with certification valid both for the US and the UK. Get your immigration documents translated by the world-renowned translation agency, Dutch Trans. We work fast, we provide quality translation services and don’t charge a fortune for doing so! Avail our translation services for translating your driving license to multiple languages. Fast and easy services, just a click away from you. Since these licenses are authorised directly by the government, they are therefore important and only driving license documents are permitting you to drive around the country. Driving license has its own specific terminologies which demand literal translation from the source to the target language. It also needs to be a UK certified translation in order to be allowed to drive in the UK. The modern globalised world demands integration on all levels, be it individual, business or official level. And for cultural integrations to happen, language barriers have to be overcome. That is exactly what DutchTrans is doing. It is providing translation services that are not only correct and error-free, but also true to originality. Our translators put in the best of their expertise in realising your dream of perfect language translation to and from English and into any other language of the world. For us, what truly matters is to enhance the ease of our clients to communicate on all levels. We are keen to observe every change in the translation industry so as to improvise and improve our perfection in the translation services. In a country where everything is in abundance, you may have a hard time finding the best. Not in translation services of course because you have DutchTrans at your disposal. At DutchTrans, we wanted to ensure that every person in the UK can have UK Certified translations at the most affordable rates. DutchTrans is without a doubt the best translation company in the UK. For its highest quality translations, 24/7 availability and multi-dimensional services, Dutch Trans has rightfully earned the love and trust of immigrants and natives of UK. It is indeed a delight for us to be the center of translation services for people of different ethnicities, culture and nations. 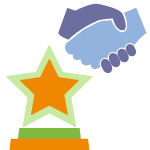 In the past few years, we have been constantly refreshing our knowledge so as to provide certified translations to our clients with the assurance that our quality and service is matchless. Our happy clients from all around the world also acknowledge the fact that we the best company in the words, not just in the UK. Our certified translation services UK are available for certificates, deeds, documents, legal papers, medical reports, police reports and any other documents. 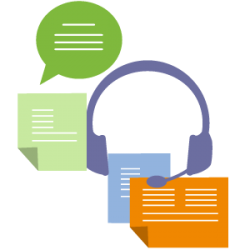 If you have a document that’s not listed on our website you can get in touch with us through call or live chat and we’ll provide certified translation for that document right away.